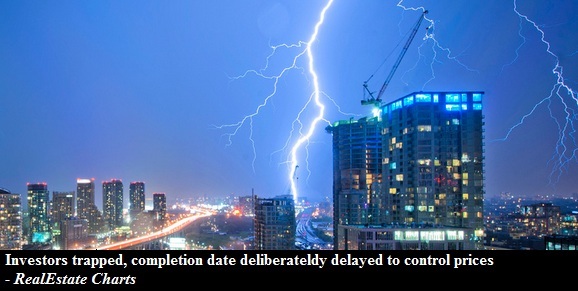 Are Condos Being Delayed on Purpose? Developers know that they are building too many units. They also realize that if all of those units under construction were to hit the market at the same it would tumble. After all, that's exactly what happened back in 1989. 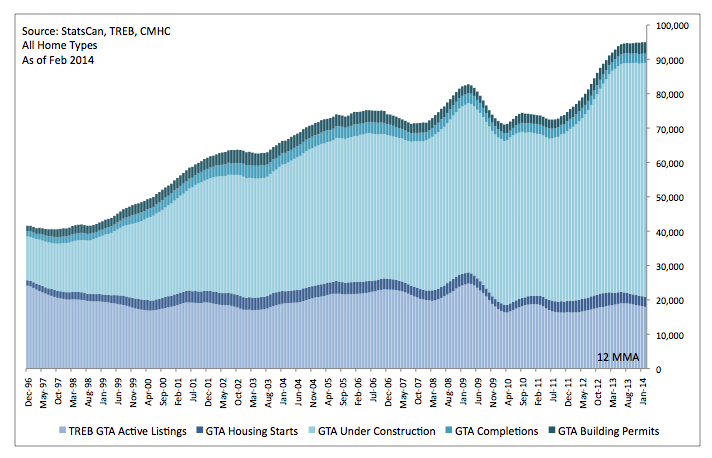 Plus developers still have unsold inventory. So what do they do then? See that light green shaded area? Depending on what figures you believe, half of those could be speculators now trapped at the mercy of developers that are afraid of completing too many units at once, since they know those units will be flooding MLS® with listings on occupancy, and competing with developers' unsold inventory. The premarket is where you will see the first cracks in the system, and if developers congest inventory and delay too long, there's going to be mobs of speculators trying to weasel their way out of contracts with lawsuits. This is what the Bank of Canada is watching closely and fears might unwind in a disorderly manner. So expect more cheering from realtors this spring as more 'scheduled but not completed' units clog up and add even greater risk to TO's housing market. Things aren't well, and nobody is reporting it." Post picture by Dave Han.